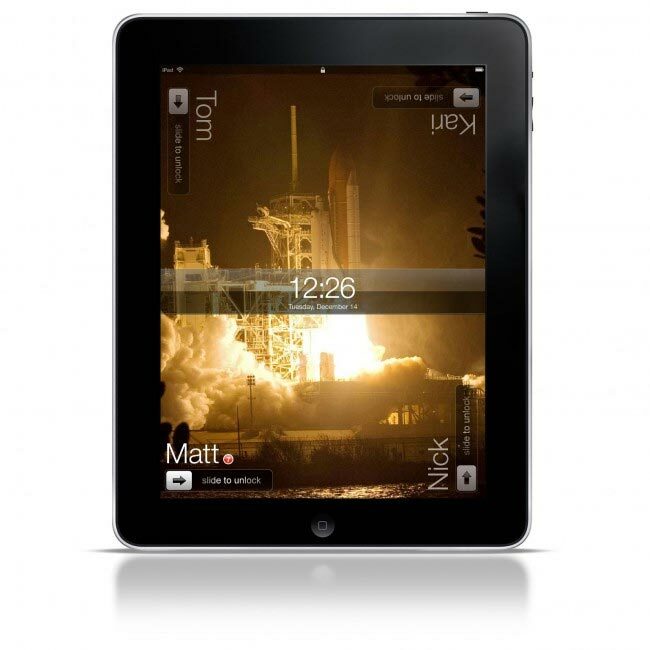 A unique iPad concept has been created to highlight a new way multiple users could use the device. I am sure if you have one iPad in your family house hold there is always a fight to use it by every member. Causing users to be logged off by other users and logins to be changed to other family members. This concept iPad multiuser login hopes to provide a simple method to allow a number of different users to be able to login directly from the home screen to then use their personal user settings. Similar to the feature currently on desktop and laptop computers, where multiple users can retain there settings and customisations. A ‘person-in-each-corner’ layout is already used in a number of iPad games like Marble Mixer and Multipong and new notifications could be displayed alongside the names on the lock screen, allowing users to see at a glance if anything needed their attention. As long as someone else isn’t hogging the iPad.